The Champs Elysees district was originally a market gardens with an avenue of trees. The avenue was transformed by the landscape architect André Le Nôtre in the XVIIth century. 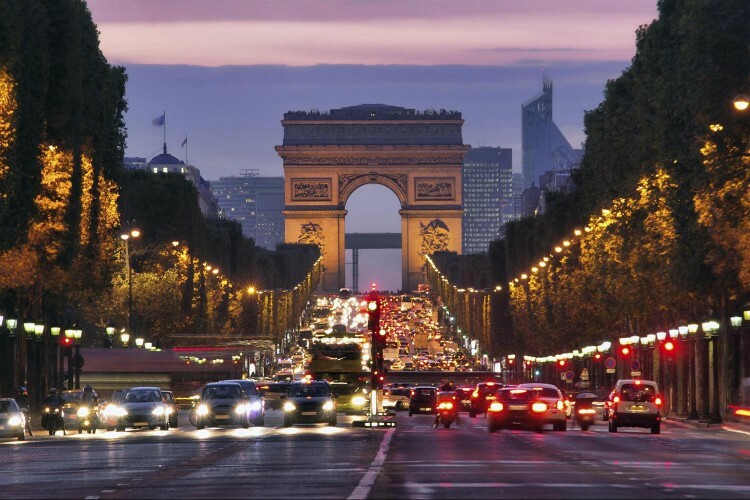 At the end of the 18th century, the Champs-Elysres became a fashionable avenue. Today few people live on the Champs Elysees avenue but mainly occupied by offices. The Avenue is one of the most famous streets in the world for shopping. Abercrombie, Mercedes, Adidas, Vuitton, Disney, Nike, Zara, H&M, Cartier, Guerlain, Lacoste, Nespresso, Toyota, Gap, Sephora occupy major spaces. The lower half of the avenue toward the Concorde Square has a different character, with gardens and smart restaurants running off either side. Between the Champs Elysees and elegant rue du Faubourg Saint Honore lie the vast gardens of the Elysees Palace, home of the French President. On the other side of the Avenue are the Petit Palais and glass-domed Grand Palais, used for major art exhibitions, and the adjoining science museum, the Palais de la Decouverte. From hotel Louvre Marsollier take metro line 1 at Palais Royal to Champs Elysees Clemenceau, George V or Charles de Gaulle Etoile in les than 15 minutes.